One of the best ways that technology has come to human help is by the way of educational assistance. One of the best examples of this is the math software. The software can train and help students in getting better in mathematics and also solve more complex problems, gradually and easily. Here is the list of the top 7 math softwares available online that you can either use for yourself or for your kids to brush up on their mathematic skills. 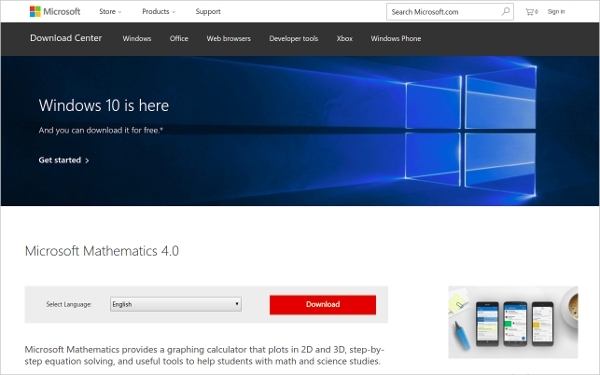 One of the best and most pocket friendly math software on the internet right now is Microsoft Mathematics. It can be downloaded for free. The software is mainly dedicated to helping math students become friendlier with algebra. It is feature rich software that helps to draw 2D and 3D images. Other subjects with quantitative proportions, covered by Microsoft Mathematics are- Chemistry, physics and mathematics. Similar to Microsoft Mathematics, the ComliCalc to is free and can be downloaded from the internet without much of any fuss. The software is dedicated to help students take more interest in mathematic subjects and subsequently grow the confidence for solving more complex problems. The free software comes equipped with a number of algebraic and functional calculators that can be used to solve major problems, much easily and quickly. 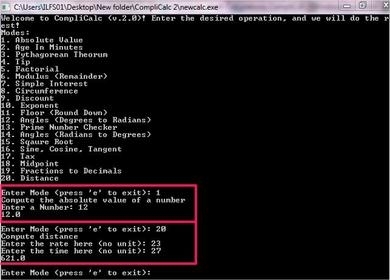 Some of the various tasks that one can do with the help of ComliCalc is, calculate time and distance, calculate the square root, calculate factorial, etc. Math Editor is one of the best free math softwares availed to students over the net. Thanks to its popularity amongst all standards of students, it has made its place in the top 3 positions of this list. The math software is used to make equations which use a number of symbols. Some of the symbols you will be able to use are- alpha, beta, Cyrillic, square root, Greek symbols, etc. It supports a number of different kinds of formats. These include- JPEG, BMP, GIF, TIFF and PNG. Creating correct mathematical equations is no more difficult with Math Editor. 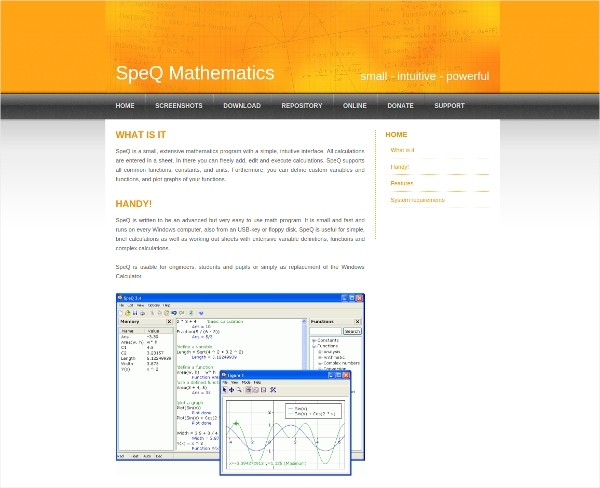 The SpeQ Mathematics is free math software that can be downloaded and used over a number of platforms like Windows, Mac, Linux, etc. The software helps you build a strong base in mathematics, with proper evaluation of the basics, before moving onto the more complex bits. The software comes with a support system for a variety of mathematical functions, variables and constants. The software is also triggered to help you with your trigonometry problems and help you get better at them. Calculator for Kids is one of the best software on the net, which you can use to introduce your kids to the basic of mathematics. The software comes with a colorful and interactive interface, which helps occupying the attention of your children. Introduce your kids to addition, subtraction, multiplication and division problems with Calculator for kids. 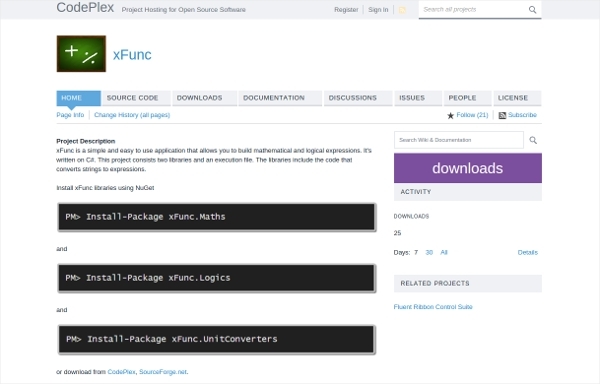 Over the past year, xFunk has grown to become one of the vastly used and downloaded free math software on the internet. It can be used to write complex mathematical equations, using a diverse variety of mathematical symbols. The freeware also produced the solutions of the equations produced. 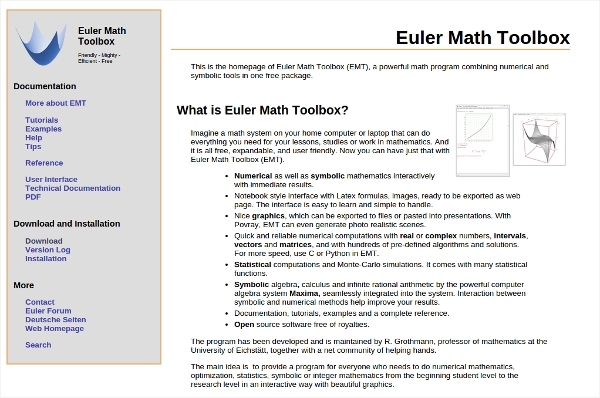 The Euler Math Toolbox is used by students and teachers alike and is compatible with all the different computer platforms. Use it for a diverse range of calculations, such as- multiplication, subtraction, division, addition, algebra, calculus problems, functions, matrices, and other many complex equations. Use the software to calculate any level of problems with ease. Use these top 7 softwares to brush up on your math basics and also to sharpen your mathematical skills. This helps you to generally grow the knack for solving more complex math problems.